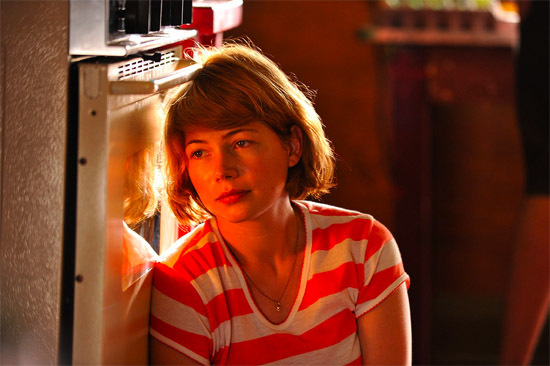 Margot (Michelle Williams) is a freelance writer who meets Daniel (Luke Kirby). There is a quiet attraction between the two of them as they travel home together. Yet Margot reveals that she is actually married to Lou (Seth Rogen), an author of cookbooks. Daniel also surprises Margot when he announces that he is actually her neighbour, living right across the street from her and working as an artist and a rickshaw driver. When she is not spending time with Lou's sister Geraldine (Sarah Silverman), Margot finds herself caught between both Daniel and Lou but in a very subtle way. Her relationship with Lou veers between affection and boredom and when she meets up with Daniel their experiences are entirely passive. Neither she nor Daniel can act on their feelings, even though the admiration between the two of them remains. 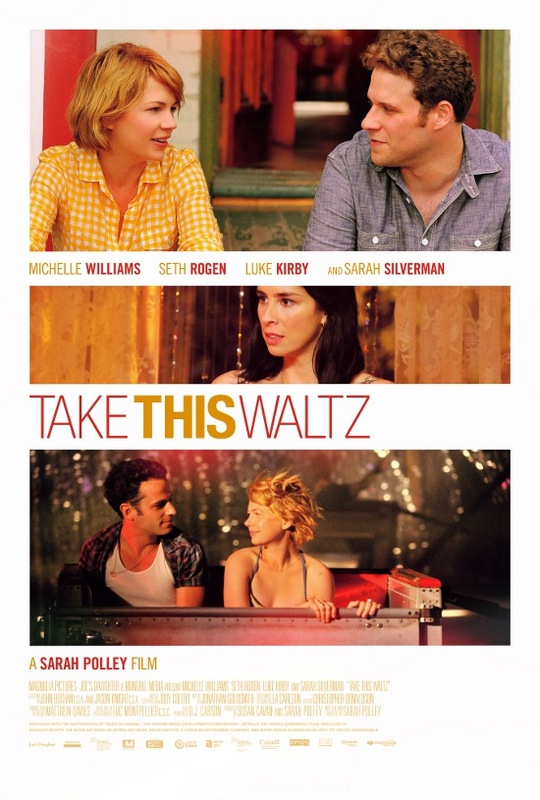 Sarah Polley is the Canadian writer-director of Away from Her (2006) and her new film is strange, moving and very funny. I love its uniqueness, in particular its view of love as an intoxicating and dislocating experience. Through Polley's eyes as a director and through her talented cast, love has the ability to disorientate one's personal identity and even their sense of geography. It can inspire uniqueness, joy, addiction but also the fear of isolation too. The screenplay and the design of the film find clever and interesting ways of expressing this. A lot of the dialogue, ranging from staccato speech patterns to long monologues, is cryptic and bordering on self-conscious. Yet critically, it always has a purpose towards addressing a theme. "I'm scared of connections...In airports," Margot says. She's reflecting on being trapped in an empty void in her life, loneliness, in the absence of a relationship. Mirroring Margot needs to fulfil her life is Geraldine, who is a recovering alcoholic. The addictive habits of both women, drunkenness and love, are viewed collectively because they free them from themselves. Consider a moment where Margot is on a spinning fun ride with Daniel. In one of the most joyous scenes I can remember, flashing lights, booming music, courtesy of the song "Video killed the Radio Star," and dizzying camerawork takeover Margot's life. Yet this moment of bliss is disrupted as the lights come back on to reveal a sad, grey place and a maintenance guy opening the doors of the ride. Is there a more hysterically funny or ironic vision of someone plummeting back to reality than that? It's a wonderful scene because it's a metaphor for Margot's view of disorientated love. For a brief period, she's freely transported, without having to think about whom is she or where she is going. It perfectly asserts the film's relationship between intoxication and infatuation. One of the other unique ways that Margot's idealism for new love is expressed is through the film's sumptuous visual design. The look of this film is gorgeous. It's somewhere between an expensive postcard and a fairytale. Smartly, its picturesque qualities are never incidental. Polley's selection of primary colours deliberately illuminates Margot's moods and experiences. Look at the textures of her yellow clothes, the red paint on the rickshaw or the blue water in the pool. These are all deliberately lit with bright tones and high saturation as a means of showing how happiness is bred from what appears to be organic, new or free. As Margot's life becomes gloomier, like after a verbal argument with Lou, Polley selective resorts to darker shadowing to illuminate Margot's unhappiness in her life. Consider how dully lit a restaurant scene is when Lou and Margot sit opposite one another with nothing to talk about. One of the other successes of the film is that Polley's script avoids the pitfalls normally associated with Hollywood love triangles. The characters here aren't judged with simplicity. 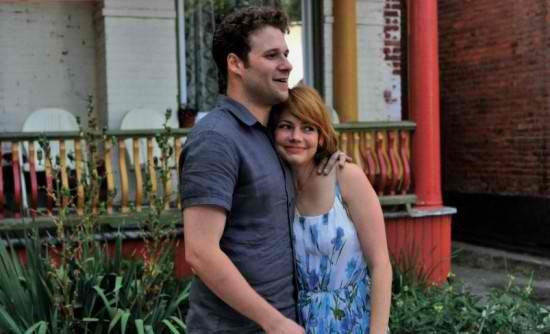 Lou, a restrained and sometimes very funny performance by Seth Rogen, is not demonised. He's just a bloke who knows what he is good at and doesn't feel the need to change his life or make any extra effort. He's comfortable with cooking and writing about just chicken and that's how he views the rest of his life too. In the restaurant scene, for example, he can't see the point of talking for the sake of talking. In a lesser film you could imagine a cliché scene of him ready to stand over Daniel. Yet the gentility of Polley's direction, deftly focusing on aching facial expressions, instead of huge verbal stoushes, makes the unspoken tension of the love triangle more intense. The unpredictability of the film's trajectory too, and there are some surprises, means that its resolutions are real and occasionally moving. As a character Daniel is slightly more elusive than Lou but no less charismatic. He's more in love with Margot as fantasy because he talks in possibilities rather than asserting himself through his actions. His monologue where he expresses everything he would do with Margot is written in such a sweet way that we can't grow to dislike him because his desires seem so earnest and true. In between both blokes is Margot, beautifully played by Williams. Both the character and the performance are equally fascinating. Williams is so convincing in creating a visible degree of conflict in her all characters and here Margot is distracted and fidgety in such a way that we understand how desperately she is trying to avoid her true feelings. There are very strange details to Margot too, like the little verbal games she plays with Lou and the childlike noises they make together. Their banter, and a hilarious pool scene, constructs an image of a woman who finds growing up to be so frightening that she must rely on fleeting relationships as a way of providing uniqueness and direction in her life. It's such a strange little movie but beautifully acted and undeniably fascinating. Position yourself as Margot: strap yourself in for the ride and don't wait for the lights to come up.